Dado upon his assumption into office as the new Charge d’ Affaires at the Philippine Embassy has implemented various reforms to better serve the over 180,000 Filipinos in Kuwait. He explained that the creation of the Composite Legal Team aimed at expediting the resolution of cases that range from various forms of maltreatment, sexual and physical abuse as well as labor-related cases that will be forwarded to the POLO under the leadership of Philippine Labour Attache David Des Dicang. “I’m personally manning the Legal Desk at the embassy and OFWs can come to consult me. They can either walk in or set an appointment. I’m available for consultation from Sunday to Thursday from 9 am to 12 noon, unless there are no prior commitments, otherwise our case officers will also be here to assist you. They can contact me on this hotline 55952909,” informed Dado. He outlined that the team will be working with select local lawyers of known integrity and competence. He stressed that abused OFWs will not be asked to pay fees or commissions to lawyers. They may also change or choose their own lawyers if they wish. He added that legal fees will be taken from arbitral awards decreed by a judge or an adjudication mechanism at the investigation level and OFWs will not pay these fees. The local lawyers will work for awards that are just. “This protocol or procedure in working with local lawyers will promote transparency in the embassy and POLO legal assistance. Moreover, OFWs will not be forced to settle but will be advised to file cases and go all the way to prosecution,” he reiterated. 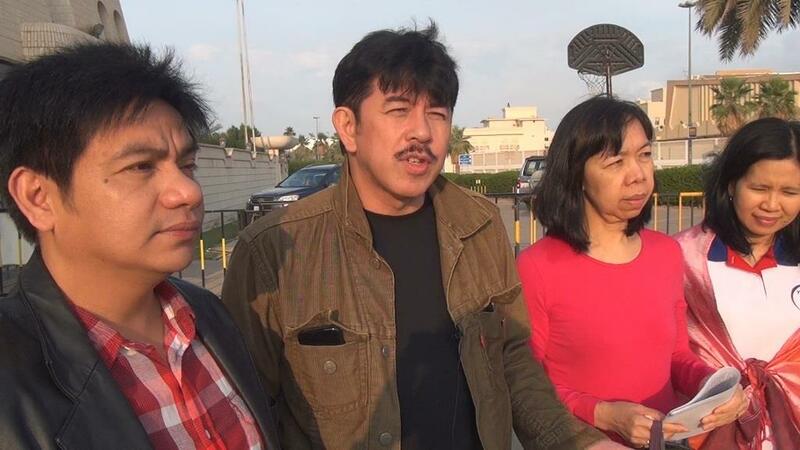 Aside from the Legal Desk at the Philippine Embassy, Dado disclosed that the embassy together with the POLO will also be embarking on an outreach programme for OFWs in various areas in Kuwait from Fahaheel to Jahra to bring the POLO-Embassy services to the people. “We will be closely working with some Filipino groups that would organise the gathering and we will be there for consultation with the OFWs. We hope to start this very soon. We will announce it as soon as everything is finalised,” he pointed out. Dado and Dicang have been also making rounds in various jails to check on the status of some Filipinos in the jails. “I’ve been meeting with chiefs of police of different governorates in Kuwait and they have pledged their support for our OFWs who have cases and we have been requesting them and it’s now being discussed if for example if somebody gets arrested if this person can be put to the custody of the embassy under cognizance, so it’s a kind of an agreement or concession or guarantee that will keep away certain OFW from getting into jail if he doesn’t have to. Hopefully, we get positive results,” explained Dado. He then thanked the Kuwait Ministry of Interior and the Kuwaiti government for their support to the embassy and the Filipinos in Kuwait.